Basseterre, St. Kitts – It is important to keep the conversation of tourism alive in the society because of the implications it has for the economy, livelihood and future of the island, says Permanent Secretary in the Ministry of Tourism Carlene Henry-Morton. 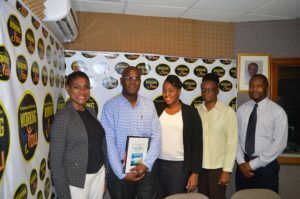 Appearing on Wednesday’s Nov. 15 edition of “Working for You,” Morton highlighted that Tourism Awareness Month was designed to be a concerted effort by the ministry to emphasize and educate about the importance of the tourism product in the Federation of St. Kitts and Nevis. Morton said that people should be sensitized about the deliverables and expectations of the tourism industry in order to work toward an achievable goal. She also explained that while every month should be tourism month, November was selected to focus on some of the major drivers of tourism and to inform the public of the key role they play in improving the tourism sector. 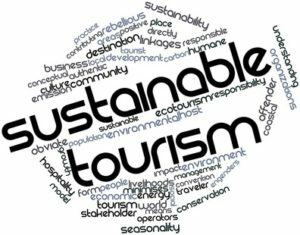 She further stated that the tourism product is something that has to be sustainable and passed on from one generation to the next. Saju Ng’alla, public relations manager at the St. Kitts Tourism Authority, mentioned that tourism is “everybody’s business.” He said that St. Kitts and Nevis is among one of the best tourist attractions in the Caribbean and in order to keep that status, it is important that everyone plays a pivotal role in helping to enhance the visitor experience, while supporting and developing the tourism product.